Who doesn’t know about Reindeer? The horned animal is considered by many a symbol of the Arctic which can be found all over the Arctic and has become entwined with the way of life of Polar peoples in various fascinating ways. Fifteen-thousand years ago, Scandinavia and most of Northern Europe was buried under a glacier of unimaginable size: stretching more than 4000 kilometers from what is now Ireland all the way to Novaya Zemlya, a supreme ice-sheet as tall as 3 kilometers at the thickest points covered the whole of Northern Europe, suffocating all under billions of tons of frozen ice. Fast-forward 10,000 years and the Glaciation has reverted and the ice is slowly melting, progressively revealing a rising Scandinavia. Following the retreat of the ice came Scandinavia’s first inhabitants who were merely following another future resident of the North: the Reindeer! For the next thousands of years, the inhabitants of the Nordic lands tied their destinies with the Reindeer’s; they hunted the deer-like creature for its energy-rich meat, its thick fur which protected them against the cold, and its bone and antlers which were used to craft artifacts of many sorts. From this period countless traps, pits and other barriers used to trick the reindeer during the hunt remain. 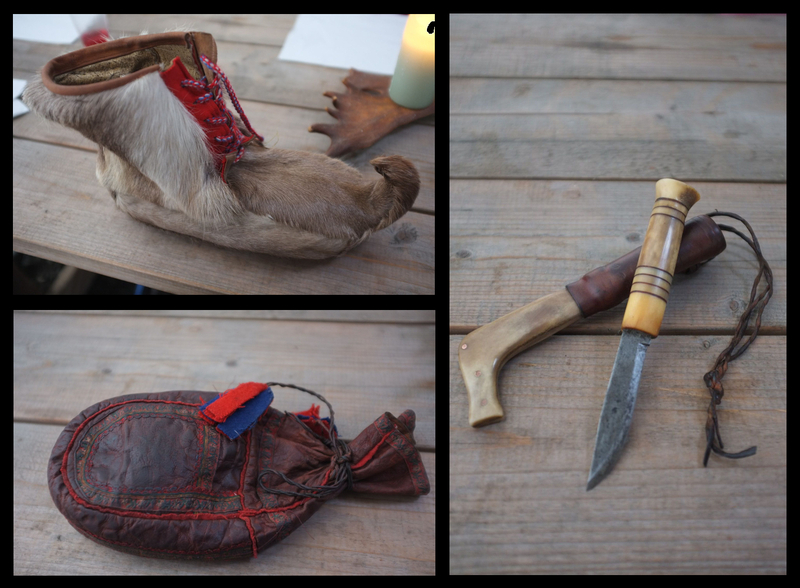 As time went by, rising chieftains and kings made use of this bounty and especially the hides which were often demanded as tax payment from local inhabitants. As a result, by the late-Middle Ages, Reindeer had all but disappeared from Southern Scandinavia and only a few mountain-dwelling folks, most of them Sámis and Finns, still had access to the precious animal. Unwilling to see their main source of income disappear under the weight of royal taxation, they figured out a way to capture a higher number of reindeers using tame, decoy reindeer which then lured their wild cousins to follow a pack which had by then become a herd. In Finland, both Finns and Sámis undertook this trade while in Norway and Sweden, Sámis from the inland districts were the only ones to develop the trade. In its wild state, the Reindeer naturally is a nomadic animal; in the winter, the Reindeer dwells in the mountains where he can access his main source of food, lichen, simply by scratching the newly-covered snow away with his hooves. In the summer, the Reindeer leaves the mountains that have become too warm and filled with noxious bugs and flies to seek shelter either at the sea-shore or in the forests where he can graze on wild plants and gain back some of the fat he shed during the harsh Nordic winter. 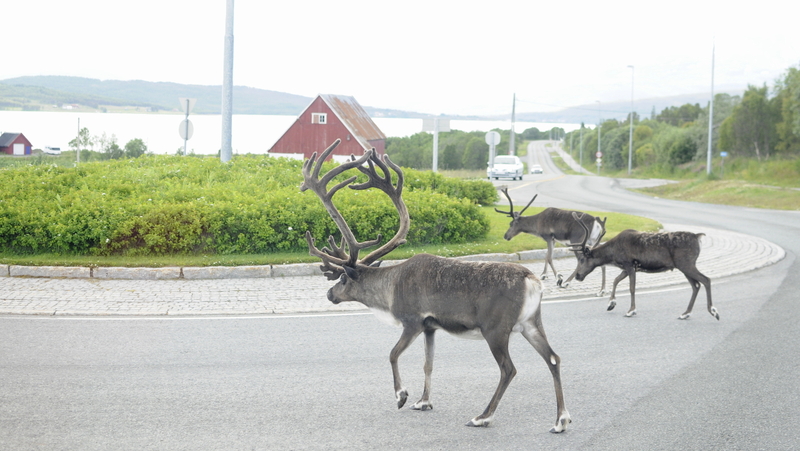 Right now in September, is the time for the Reindeer herds to undergo their seasonal autumnal migration. 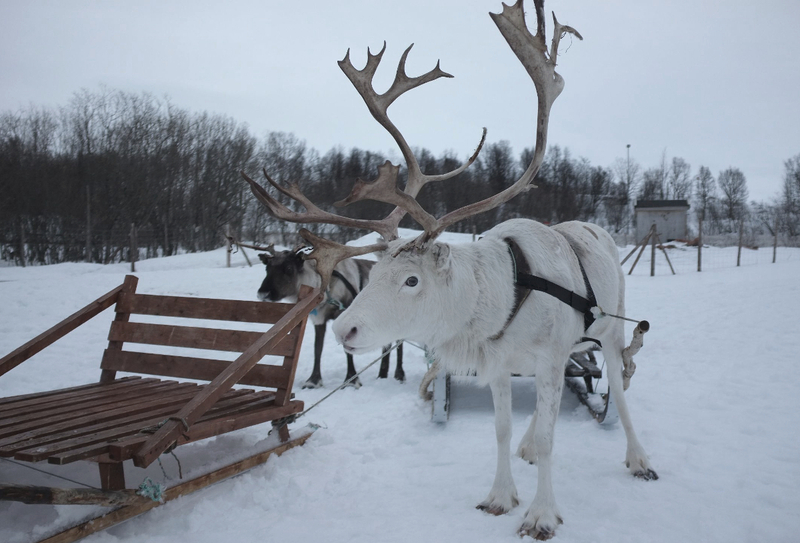 While in olden times the reindeer were led with the help of lead-reindeer, dogs and sleds, nowadays herders tend to gather the animals with all-terrain vehicles before packing them into busses for a voyage of sometimes hundred of kilometers to their winter pastures. After their arrival, the animals are counted and divided by families and herders in huge wooden corals. This is when the herders decide which ones have become big enough to be butchered and which ones will have to wait for another year or two. Reindeer meat is and has always been extremely popular in the Arctic North and for good reasons; the animals, while technically in herds, almost never spend any time in actual captivity and are always moving around, almost in perpetual motion. This freedom to roam makes the meat of the reindeer extremely rich and firm while grandly limiting the amount of fat contained in said meat. In addition, the meat is far from being as gamey as venison, and the fact that the animals feed almost exclusively on wild grass and herbs means that the meat is free from harmful substances often found in today´s mass-produced meats. A meal centered around Reindeer-meat is always a joyful occasion. Often the meat doesn’t need much preparation and it can easily be simply fried or baked and is best served with potatoes, green peas and carrots with maybe a tad of lingonberry jam to create a tasty contrast. At this point, the only detail missing is some rich Wine -maybe an Italian Red?- and some good company in order to experience a moment of pure Arctic culinary bliss.